On Redemption – Christine Piper’s “After Darkness”. Review: Christine Piper, After Darkness, Allen and Unwin, 2014. “Redemption” – the act of setting free ; deliverance from sin and damnation; an act of restoration of a person or thing – OED Online. NOTE: This review is subject to copyright restrictions and as such the author of this blog and blog post needs to be properly acknowledged. A long time ago, in another life, not long after the fall of the Whitlam government, I THINK I worked with Christine Piper’s father. This was at the domestic end of the public service, running, amongst other things, the tea lady service in a large government department. It would have been in the early months of his marriage. I remember overhearing long phone calls from his desk on the other side of the room as my colleague tried to help his newish wife, recently arrived from Japan with their new baby, to cope with the vagaries of Australian culture. It is hardly surprising the daughter of such a marriage would be writing about transcultural experience. Intimacy, identity and the transition from from one culture to another are at the centre of Christine Piper’s award winning novel: After Darkness. This is Christine Piper’s first novel, written as a requirement for her degree in creative arts, and winner of the Vogel Award for 2014. Essentially historical in nature, Piper uses the story of Dr Tomokuzo Ibaraki to explore themes of loss and transition, pride, fall and ultimately, redemption. Her interest is also upon a traumatic period in Japanese history in the twentieth century – experiments in germ warfare but her focus is upon the mind of Ibaraki, a doctor participant in this program. Piper’s vision concerns what happens within the minds of those who participate in atrocity. Here, Ibaraki is ‘Everyman’: a Japanese where honor and obedience matter most. When he fails he flees. First a bit of history. After Japan bombed Darwin in northern Australia in 1942, Prime Minister John Curtin said ‘This country shall remain forever the home of the descendants of those people who came here in peace in order to establish in the South Seas an outpost of the British race’. In the earlier years of the war Japanese residents in Australia were interned if they were considered to be a threat; in the later years they were rounded up and imprisoned ‘en masse’. At its peak 12,000 people were interned in eight large camps: three in New South Wales, two in Western Australia and one each in South Australia, Victoria and Queensland. Records show there were at least five smaller ‘holding camps’ and a number of smaller camps around the country. Loveday the internment camp in South Australia at the centre of Christine Piper’s novel, After Darkness, housed up to five thousand people at a location near Barmera on the Murray River in the Riverland district of South Australia. The site was selected because of its nearby transportation (rail and road), its irrigated fields and because both electricity and telephone communications were available. Residents – tradespeople and professionals – Germans, Italians, Chinese from Formosa and Japanese were housed in four separate compounds linked by areas of land that were cleared and cultivated for sale. At the beginning of the novel Tomakazu Ibaraki, a Japanese National, is working as a doctor to the Japanese community in the pearl fishing town of Broome north-western Australia.He goes about his duties carefully and methodically, detached enough, it seems, maintain professionalism. It is not clear at first why he is there. Dedicated to his career he is an arrogant man who believes in his superiority and is careful to sustain form. Because he is of Japanese birth and nationality, Ibaraki is imprisoned by the Australian authorities after the Japanese bombing of Darwin in 1942 and sets about working out his days the camp hospital. He is assisted by Sister Bernice, an Australian born nun who has been sent to the camps by her Order. Her figure moves from the edges of Ibaraki’s mind to its centre. She is mother and potential love in one – a counterpoint to the world of hospital and military officials, Australian and Japanese. Ibaraki, increasingly, and surprising to himself, distances himself from them.Ibaraki learns Sister Bernice has a life and family in Geraldton, Western Australia. As she comes and goes from the camp, in and out of Ibaraki’s life, he begins to apprehend his feelings for her. The use of ‘flashbacks’, Piper’s weaving of the text back and forth between past and present, slowly takes the reader into the structures of Ibaraki’s mind. She shows how his real thoughts begin to break through the social forms he maintains. Memories, despite his efforts to keep them at bay, begin to emerge. There is the death of his brother, an airman shot down in the course of his war service, and the person to whom Ibaraki is closest. He has a wife, Kayoko, left behind in Japan. He is estranged from her – a result of Ibaraki’s dedication to his work and her belief that his preoccupation and distancing of her is the result of an affair. Kayoko cannot see beyond her world into the mind of another. The truth is all the more worse because Ibarako has signed a secrecy agreement to work in a new laboratory developed by the Japanese government. Piper shifts the swathes of curtains making passage to the offices at the centre of Ibarako’s work where he has signed on as a doctor in the Japanese germ warfare program. Here people – men, women, children and babies, prisoners of war, convicts and disabled have been, amongst other practices deliberately infected with bubonic plague, or typhus, or cholera. Others have been exposed to extreme heat or cold and their bodily reactions, to the point of death, observed. It was, and remains, a deeply troubling for Japanese people as Piper also observed in her award winning essay, ‘Unearthing The Past’ in 2014. Piper writes of the horror without flinching, describing each at their moment of death. It is Ibaraki’s task to dissect their bodies for analysis. Affected by one of them in particular – a small boy – who reminds him of his brother, perhaps, Ibaraki is unable to obey the orders of his commanding officers. He is dismissed as a failure. Leaving Japan saves face. For some at Loveday, the internment camp to which Ibaraki is sent, isolation from their country prompts assertion of Japanese superiority and culture. 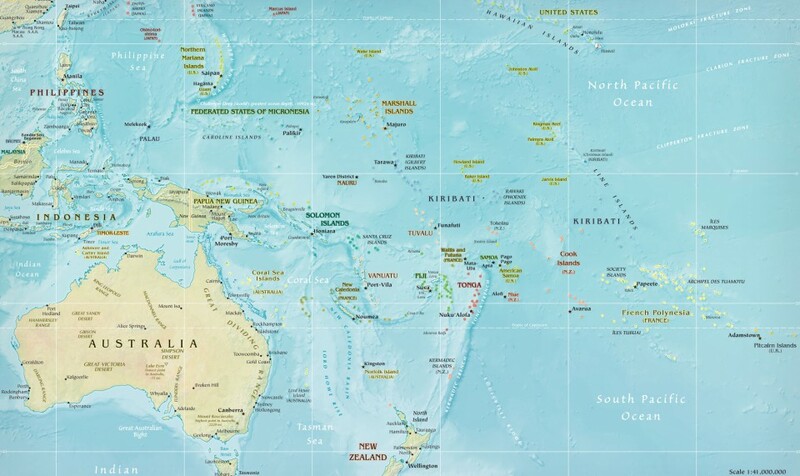 Others, the half Japanese and Australian born Japanese are less sure, more overtly caught between cultures if not loyal to their country of birth. Amongst Ibaraki’s Australian patients are those who have perpetrated atrocities and who, like him are traumatised by their actions. It is to wonder about what it means to be free of shibboleths that hold one to a certain path and what it takes to loosen them. For Quaker philosopher Margaret Fell,’personal salvation depends upon the mind discerning the light within and then diligently keeping to it’. Christine Piper’s concern, the freeing of a troubled mind imprisoned within the constraints and restraints, conscious and unconscious, of his internal world, is ultimately political and ethical. While internment in a country culturally far different to his own also fails to mirror unconsciously held constraints and restraints upon thought and behaviour that enable continuity of being, it is the internal collapse of these that enables Ibaraki to reconcile his various forms and roles – son, husband, doctor, sportsman, brother, loyal employee – into a new and different position. Sister Bernice’s presence during this process her coming and going, represents this new moral and humane, if not theological position. It is one form of heroism, opening the way for further exploration. This is not to suggest that Australians, or members of any other culture do things better than anyone else. Piper is arguing for a different, ethical position, where living occurs in the space between the rights and wrongs, whys and wherefores of one action or another. In this respect her study of the intimate workings of the mind of a single person resonates with the theological and political morality implicit in the work of American author, Marilynne Robinson. It will be interesting to see what evolves from this work. 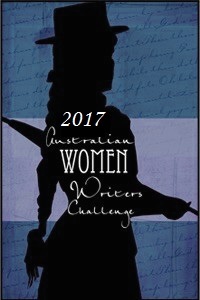 Reviewed for the Australian Women’s Writers Challenge 2015.